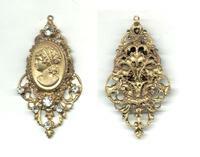 Victorian / Art Nouveau lady gold pendant ! See scan - perfect condition. 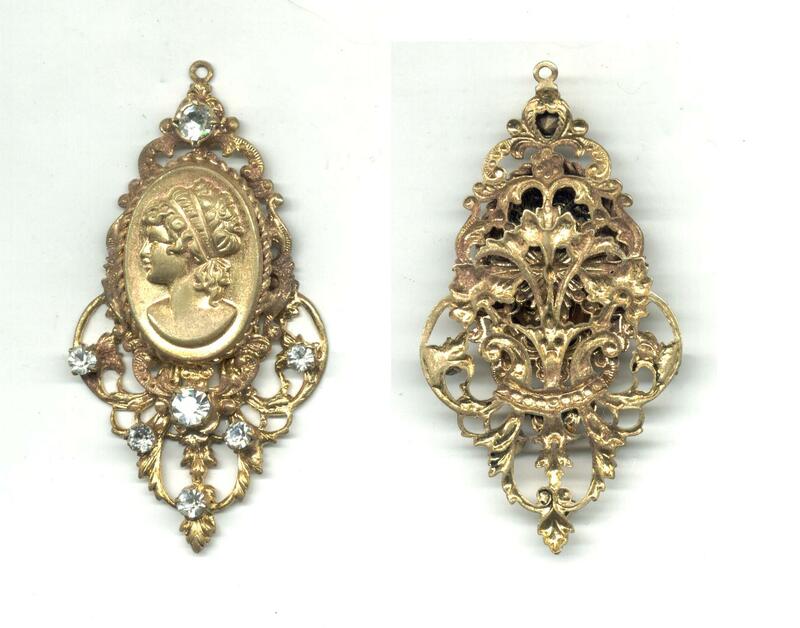 This is a nice antique Victorian or Art Nouveau gold plated / gilted tin jewel / pendant with very nice floral motifs and a lady portrait in the middle. This piece of vintage jewelry also has 7 nice and large diamond like artifficial stones set at different places around the lady portrait. Almost all of the original gold plating / gilt is intact both at front and reverse. The reverse of the piece also shows a nice filigree work. 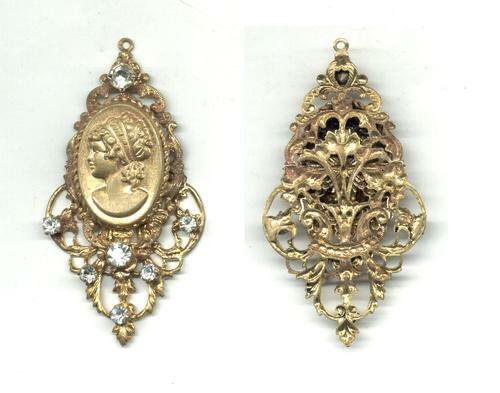 Very nice collector piece and one of the nice Victorian jewels or Secession pieces of jewelry. c1920 Antique Arts & Crafts jewelry broche !